Getting children to eat can be quite a challenging task as they can be some of the pickiest eaters on the planet. It becomes even more challenging when you try to add vegetables and fruits into their diets, given that most of the little ones favor sugary treats that are not good for their health. In this article, we are going to take a close look at some healthy and easy to make smoothies you can make for your kids. The key to smoothies for kids is allowing them to join in on the fun of making the smoothies. As they get used to throwing in their own ingredients and playing around with fruits, they are likely to enjoy drinking them, too. The following smoothies are fairly easy to make, and you can balance out bitter tasting vegetables with sweet fruits. Make sure to make the smoothies as colorful as possible to enhance their appeal. This smoothie is both bright and sweet, with added health benefits for your kids. Strawberries are alkaline in nature and ensure that your kids’ body pH levels are kept neutral, boosting their immune system. Green smoothies are packed with a variety of nutrients that provide many health benefits, but alas, they are not always the first pick for sweet-loving youngsters. Adding sweet fruits like pineapple and peach to a green smoothie can help balance out the bitter taste of the vegetables. Peaches are the perfect summer fruit, and many kids love them. To enhance the sweet tasting flavor of this smoothie, you can add blueberries and grapes for a refreshing summer treat. Strawberries are another kids’ favorite, and when combined with strawberry flavored yogurt and ice cream, they make for a triple treat smoothie that is as nutritious as it is sweet. Just take care to buy sugar-free yogurt, and homemade ice cream is preferable to keep the sugar levels to a minimum. This type of smoothie is quite versatile and offers the opportunity to play around with a wide variety of ingredients. You can add different kinds of fruits, from strawberries to kiwis, to provide a wide array of sweet health benefits. Adding other ingredients such as yogurt can help make the smoothie thicker, and if you are not up for yogurt, you can opt for other options such as coconut or almond milk. There are plenty of recipes to try out, and you can have fun with your kids, experimenting with many different types of ingredients. It is vital that you remember not to add sugar or processed products to your smoothies as they are not healthy, especially for young people who are still growing and whose bodies are still developing. Many smoothies are easy to make if you have a blender but caution should be taken not to expose young children to dangerous kitchen utensils. Adult supervision is always a must when working in the kitchen. 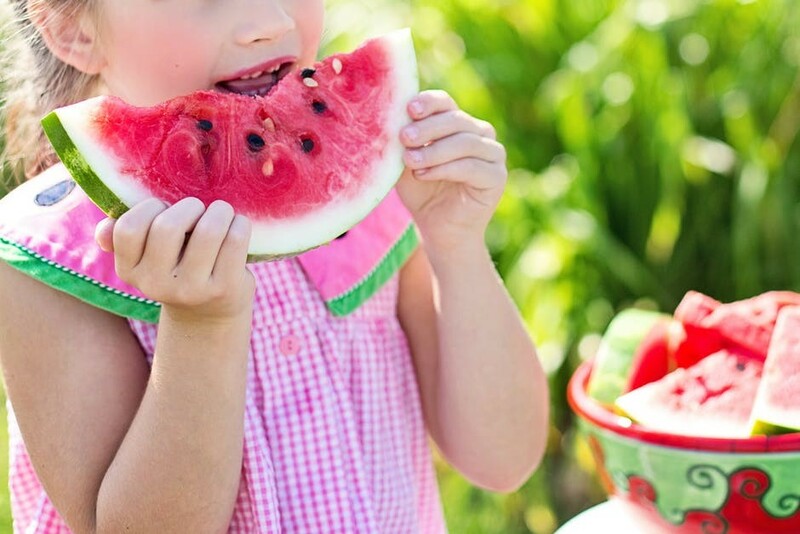 But for everything else, allow your kids to have fun and get to know the different kinds of fruits available.